When you say word game, you say Scrabble. Struggling to find the right word using random letters in front of you, plus the ones on the board, has proven to be the most popular word game ever. Even more popular than the classic Hangman. And now, there comes a new word gaming challenge. This is Elongate, and it will make your mind work just like a dictionary. 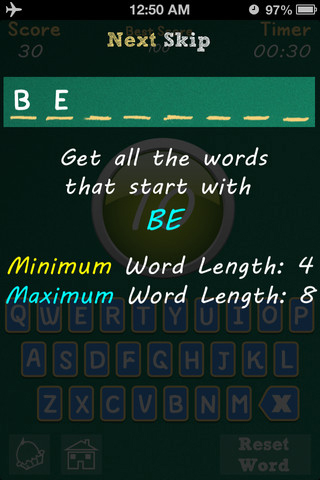 Grab it from the AppStore today, and put your mind to the test with Elongate. 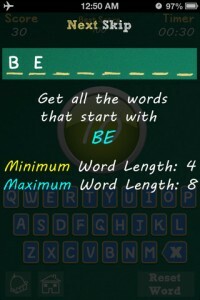 When it comes to word games, you could say Elongate is more similar to the classic Hangman than to Scrabble. Only that with Elongate, you are given the first two or three letters of a word, instead of the first and last letters. To make a long story short, you are given prefixes which you must use to form as many words as possible. It's the perfect training before a Scrabble session. And it will actually force you to look up in the dictionary all the words you missed. Especially when you can only come up with a couple of words out of over 50, using the given prefix. Elongate is a very fun and easy game to play. 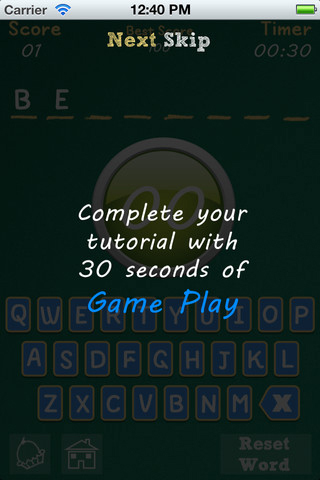 You are given a prefix at the beginning of each game, a predetermined number of letters to form the word, and a time limit to do so. 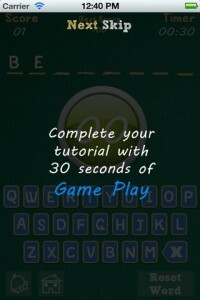 With every word you come up with, you must tap on the buzzer in the middle of the screen. If your word is correct, yet another point will be added on the buzzer. But don't think that if you're wrong, it's game over. The buzzer turns red, thus letting you know you're mistaken, and the game goes on until the time limit expires. The more correct words you get, the more points you earn. Form 5 correct words, and you get an extra 15 seconds to your time limit. Easily share your score on Facebook and Twitter, and let everybody know just how fun it is to play Elongate. Other than that, Elongate is a pretty engaging game to play. You really feel like the wheels in your head are turning. 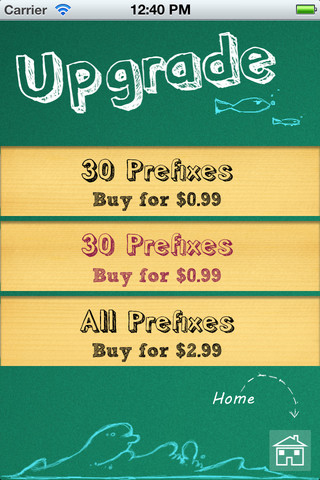 And the free version offers you enough prefixes to keep you occupied for a couple of breaks. 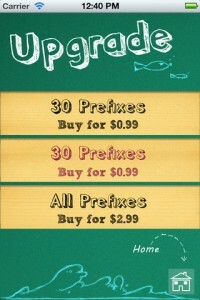 Plus, you can purchase more prefixes with 0.99 or the enjoy entire list of prefixes with 2.99. So, whether you're training for a Scrabble match or just want to put your mind to the test, grab Elongate and start finding all the right words. What do you think of Elongate ? Scroll down for our comment section and let us know! Great Design! Design is prettier than functionality. The scores displayed are in light color. It should be dark. Designer seems to have a good sense so I guess this is a development bug.